Dinamex cannabis seeds by Dinafem Seeds belong to a Sativa/Indica, feminized cannabis strain that originates from the cross of a Cali Sour and an Emerald OG Kush. Providing feelings that are so different to what we are used to in Europe, this cannabis seed won’t fail to surprise you. 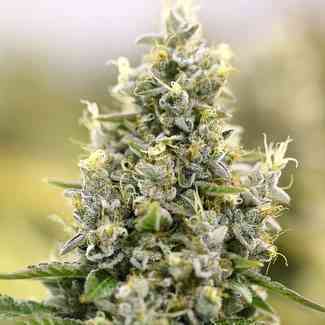 Dinamex is a cannabis seed that gives an exotic touch to the garden while treating the senses. It produces a medium-sized plant that grows without difficulty and that flowers fast, yielding compact, elongated buds brimming with resin. A cannabis hybrid that will satisfy both beginners and experts thanks to its great overall performance. Dinamex cannabis seed grows without difficulty indoors. It grows equally well outdoors under temperate, Mediterranean climates or in the pleasant atmosphere of a greenhouse. It is quite resistant to humidity and enjoys standard nutrition. The flavour and aroma of Dinamex are very intense, with hints of oil and lemon. The long-lasting, powerful effect is balanced, physical and cerebral. It imparts an exotic touch wherever it goes.